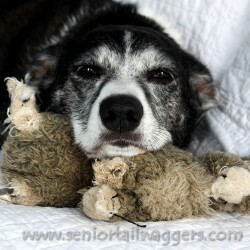 Your Older Dog - Happy, Healthy & Loved! If the love of your life isn’t a puppy anymore, my site has the practical help and friendly support you need. Health problems…. nutrition questions…. behavior issues…. product recommendations…. training tips…. they’re all here. 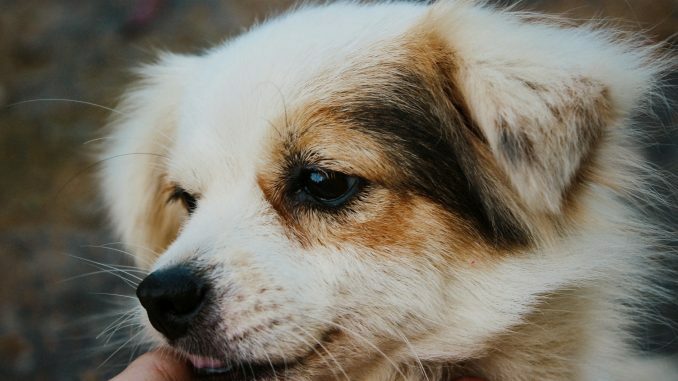 More dogs are reaching ‘senior-citizen’ status every year. This is down to ongoing advances in veterinary care and pet nutrition, plus the love and money we lavish on our them. This is great news for them, and for us, because it means we get to enjoy more years with our furry best friend. But age can also bring a whole slew of changes and challenges for everyone. 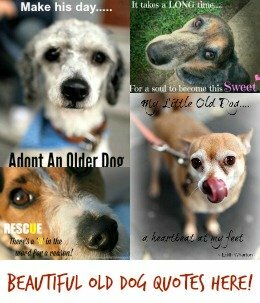 And of course, there are so many great things to celebrate about our older dogs. 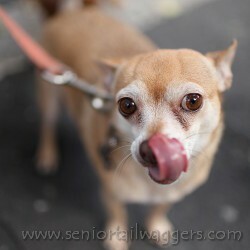 They can be loving, patient, loyal, goofy, funny, sweet, tolerant, empathetic. Fido understands your moods, routine, emotions – and you understand his. It’s pure and unconditional love at it’s very best. 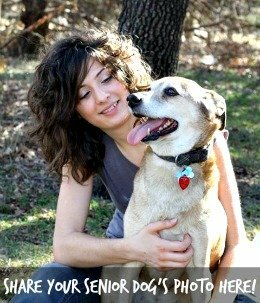 Are you sharing your life with an older dog? Me too! 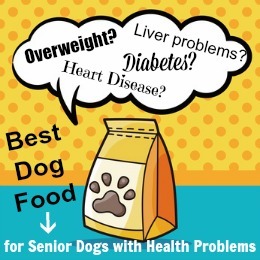 I’d love to help you ensure that your dog’s golden years are the very best they can be, after all he/she deserves to enjoy every minute of them right? Getting older can slow Fido down, bring niggling aches & pains, or even serious or chronic diseases. Is your normally happy dog turning into a grouch? Is he unusually anxious or clingy? Seeing changes in obedience, potty habits or routine? If your old dog’s behavior has turned into a Jekyll-and-Hyde impersonation, it’s important to find out what’s causing the problem. All pets need ‘stuff’… sometimes a lot of stuff, and older dogs are no exception. 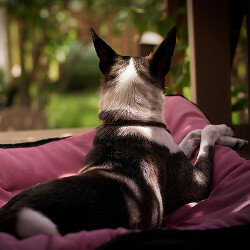 There are tons of products that can make Fido’s life easier, more comfortable, and more enjoyable. Comfy beds, elevated feeding bowls, ramps, incontinence products, special dog food or treats, dog toys for seniors, supplements and more. We’ll take a look at the best, and newest ones, here. Older dogs sometimes forget stuff they used to know. Deteriorating eyesight and/or hearing might make it seem as if Fido is ignoring you. Creaky joints, circulatory problems, carrying too much weight and a host of other health issues can make it more difficult for him to obey commands, maintain good potty habits and so on. But there are lots of ways to overcome any, or all, of these problems. Sometimes it’s just a case of extra obedience practice, other times you need some new ‘tools’ or tips to help matters along. Oh, and by the way…. It’s NOT true that you can’t teach an old dog new tricks. Fido is still perfectly capable of learning new stuff, you may just need to go more slowly and be patient. He’ll get there! Some dogs sail through life without slowing down much at all. Others have health problems that make it more difficult to run, jump and play. 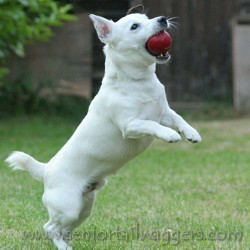 But whichever group your older dog falls into, he still needs daily exercise to keep his body and mind healthy. No matter what ‘issues’ he has, there are exercise options and games that your senior will be able to enjoy. Regular outings also help make sure that Fido doesn’t lose his social skills, or get overly anxious when he’s away from home. 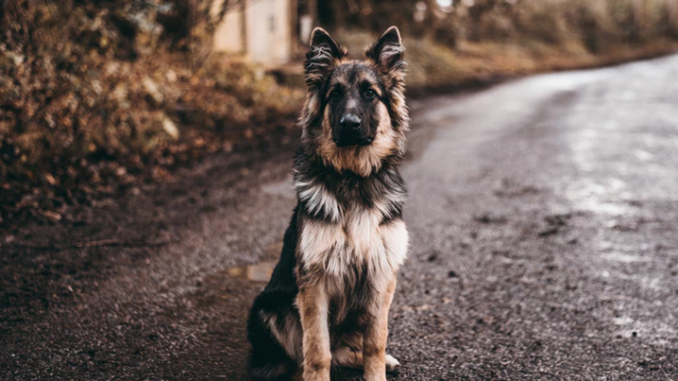 Just like older people, dogs can sometimes withdraw from interacting with others, or become too dependent on their familiar home environment – which leads to anxiety as well as physical and emotional deterioration. 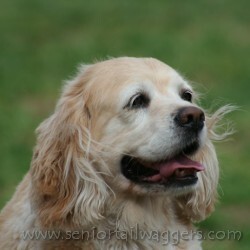 Right now we share our home with our very own senior tail-wagger, Bonnie, who is thirteen years old. Luckily she’s not the first elderly dog I’ve been blessed with, and I’m grateful that I know what she needs to be happy, healthy and comfortable. My goal is to give you the same peace of mind. As well as providing all the resources and help you need, as this site grows I’d love for you to share your photos, stories, worries, joys, thoughts and more. I’d like to build a community where we can share everything that makes life with a senior dog so special and rewarding, and help each other along the way. Welcome, come on in and thanks for visiting!